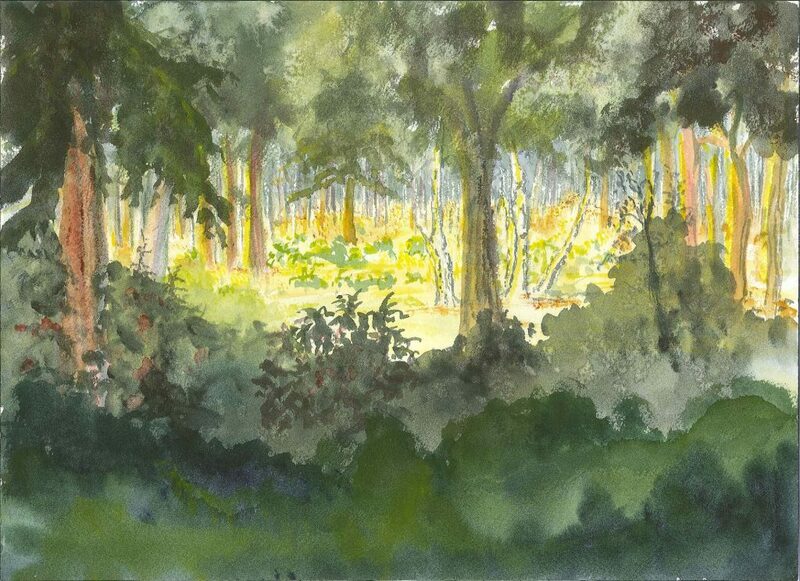 I was asked to paint a woodland scene with a beam of sunlight to depict the hope that all will be well. I was stumped but one morning in July 2016 I woke up very early and looked out of my bedroom window. The shrubs in my garden were dark and so were the woods in the distance but a shaft of light from the rising sun illuminated a woodland glade. There was the picture I needed. I thanked God and prayed that he would give me the artistic skill to be able to paint the scene. 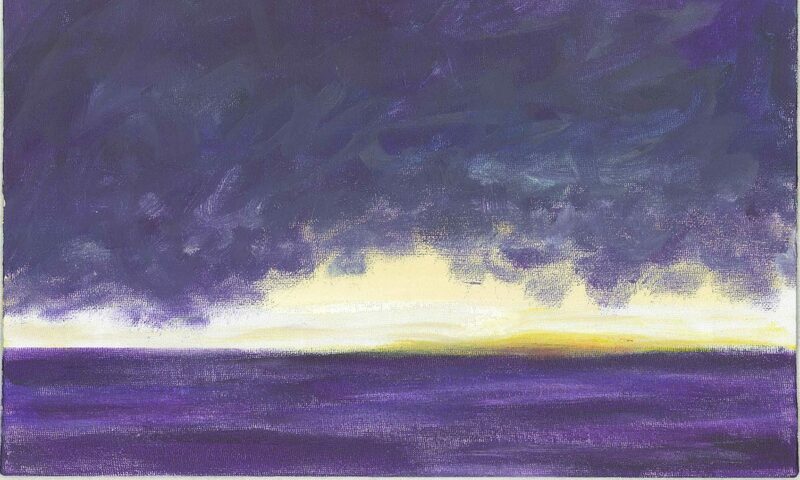 It took much thought and prayer and then I had to step out in faith and start painting. With the Lord’s help this illustration was created.